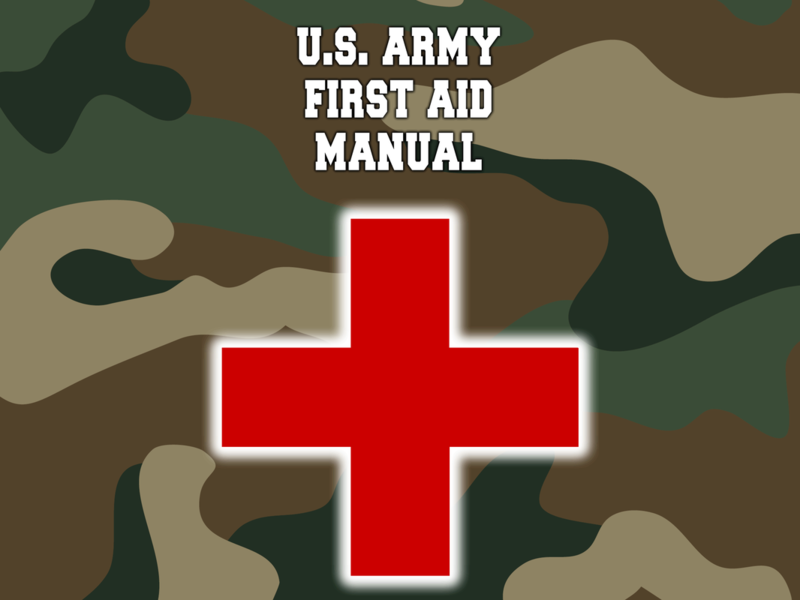 The longer you are in the backcountry the more likely you are to need First Aid. Plan for both accidents around the camp and out on daily activities away from your campsite. (1) Wilderness & Travel Medicine: A Comprehensive Guide by Eric Weiss, M.D. You can buy this small First Aid Kit at Amazon. You can buy this First Aid Kit at Amazon. 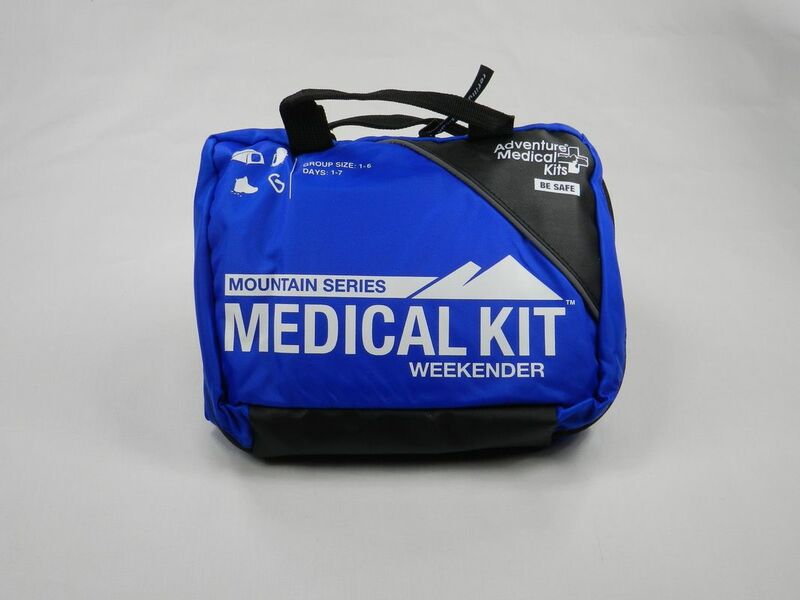 Although our First Aid kits have various medicines in them we don’t like to break into them for routine aches and pains. 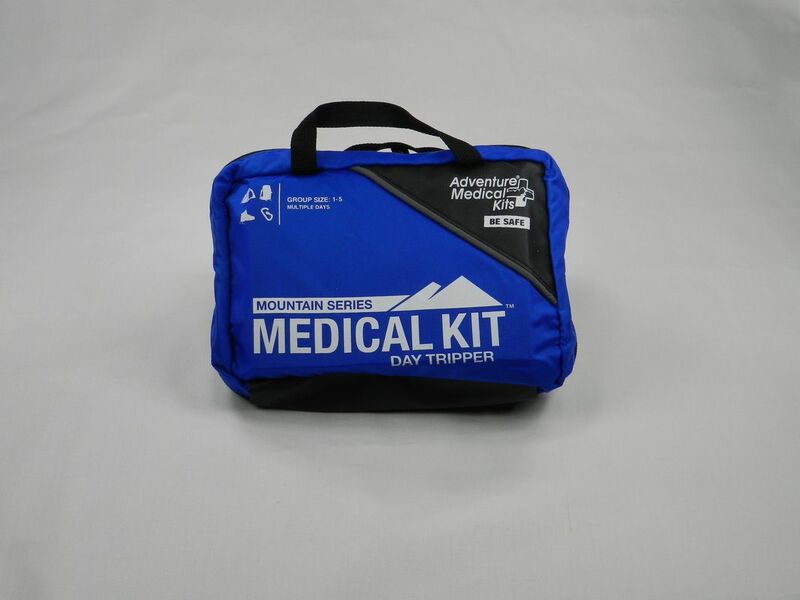 Consequently we also carry a variety of other common over-the-counter medicines with us when camping. 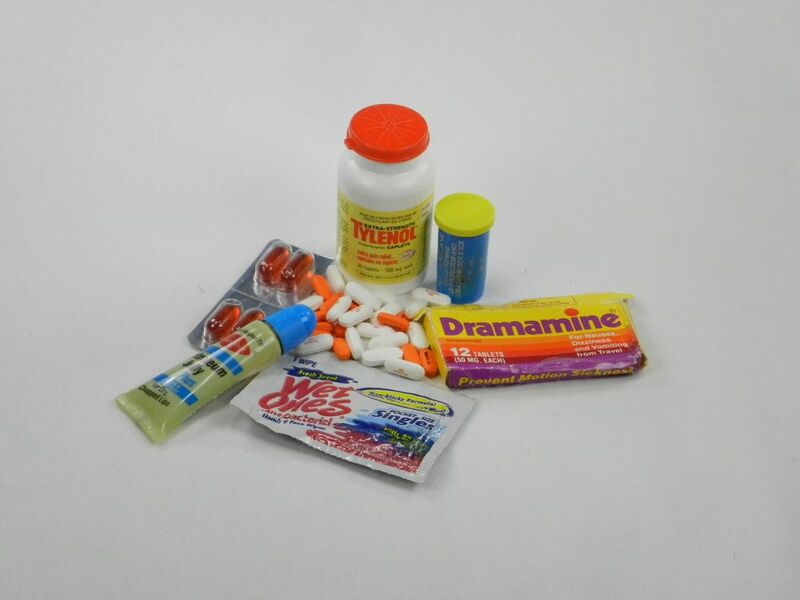 Although what you might want to take will probably vary we normally take: Motrin for aches and pains, Tylenol for headaches, Excedrin for headaches, Vaseline for lips and minor rubs, Dramaine for motion sickness, DayQuil for colds and WetNaps for cleaning wounds. You can buy the over-the-counter medicine that you need at Amazon or your local drug stores. As all of us know, the sun can sneak up on you while hiking and it’s only the day after that you realize that you have a sunburn. Because of this we always take sunscreen with us when camping. From experience we have found that it’s better to have it and not use it than need it and not have it. The criteria that we use to evaluate sunscreen are: 1) SPF rating, 2) skin reactions, 3) sliminess and 4) breathability. 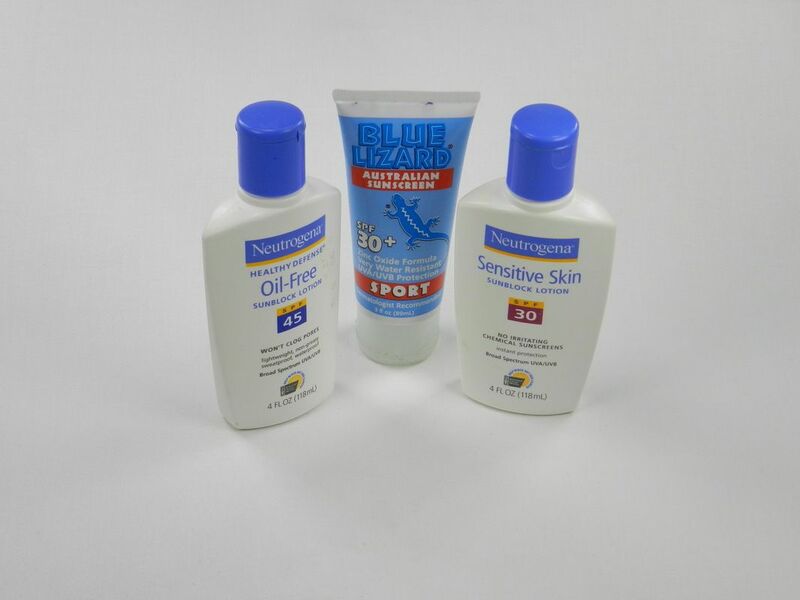 Rather than take a different bottle for each person we select the sunscreen type that best fits everyone on the hike. Not a perfect option, but it works and saves weight. You can buy all sorts of sunscreen at Amazon or your local stores. Although most of us use insect repellent to keep away the annoying bugs, these days, with West Nile Virus, Zika and other pest-borne health hazards, it’s a good idea to wear and carry insect repellent with you on hikes. Especially if you are camping in a swampy or mosquito prone area. The criteria that we use to evaluate insect repellent are: 1) level of protection, 2) smell, and 3) feel on your skin. The most important criteria is the level of protection that the spray provides. For us that equates directly to the percentage of DEET in the spray. Over the years we have tried different active ingredients (to include homeopathic ingredients) but nothing seems to work as well as DEET. 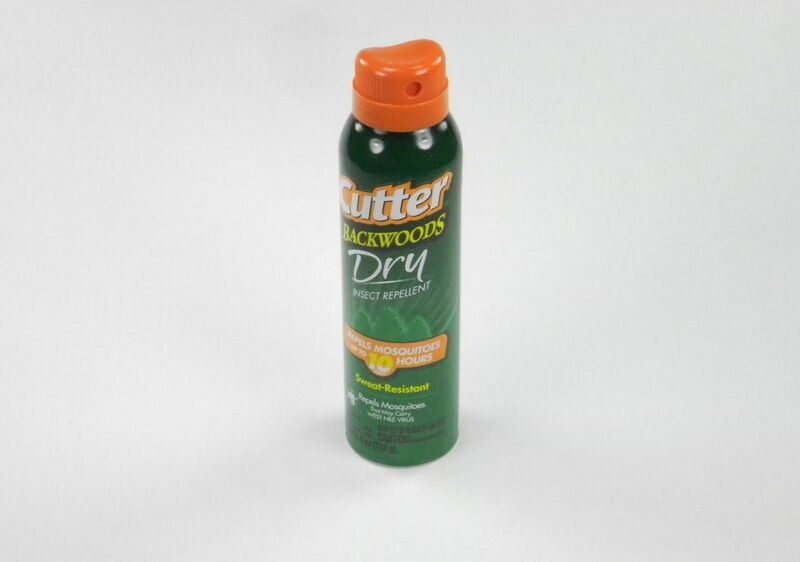 For camping we normally use Cutter Backwoods Dry with 25% DEET since it repels the insects without making your skin feel wet, slimy or clogged up. You can buy Cutter Backwoods Dry - 25% DEET at Amazon or your local stores. Like several other items on our gear list one of the items that we learned from experience that is better to have with you is some sort of anti-itch/poison ivy spray or cream. The criteria that we use to evaluate anti-itch spray/cream are: 1) the active ingredient and 2) how it feels on you skin. If we are really headed out into the woods we normally take two different types; each with a different active ingredient. For some reasons some of the sprays/creams that used to be on the market are no longer available. So these days we typically carry Extra-strength Benadryl spray and Cortizone-10 cream. 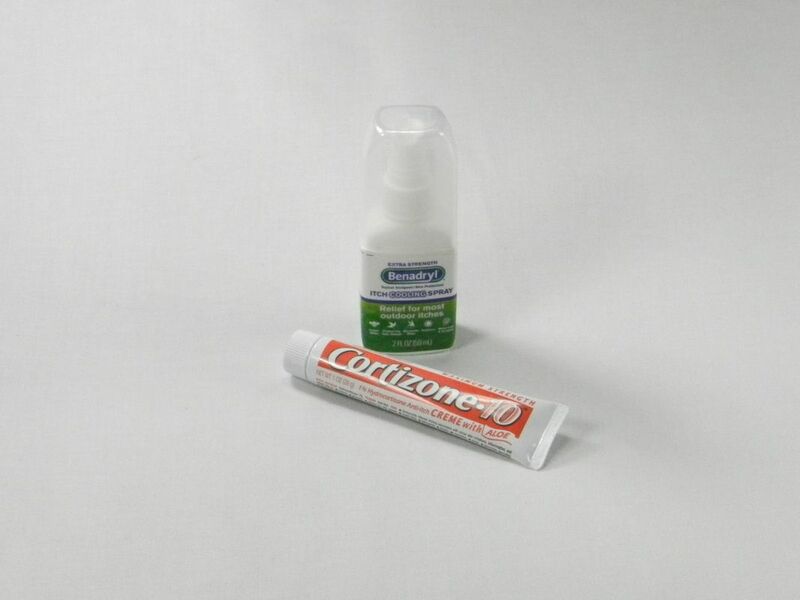 You can buy anti-itch spray/creams at Amazon or at your local drug stores.